Born in New York City as Eve Rabin, she began piano lessons at five years old. She attended the New York City High School of Music and Art. At the City College of New York she studied piano, then decided to pursue conducting. She studied at the Mannes College of Music and the Hebrew Union School of Education and Sacred Music. At Mannes she studied with Carl Bamberger. A Martha Baird Rockefeller Fund grant financed her study with Joseph Rosenstock. She studied under Walter Susskind and Leonard Slatkin in St. Louis, Missouri. She continued her training in Europe with Igor Markevitch and Herbert Blomstedt. She married Stanley N. Queler in 1956. Like many women, she interrupted her education to put her husband through school, working at a variety of musical jobs while he attended law school. She worked for a while in the late 1950s for the New York City Opera, as a rehearsal pianist. This led to a position as an assistant conductor, but, as she said in an interview later, "the girls got to conduct the backstage bands." She found her progress slow in gaining practical experience in the male dominated field of conducting. She had been turned down by Juilliard School's conducting program, and even her mentors did not encourage her in the idea that she might conduct any major orchestras. The New York Philharmonic's manager, Helen Thompson, told Queler that women were not capable of conducting pieces by major male composers. 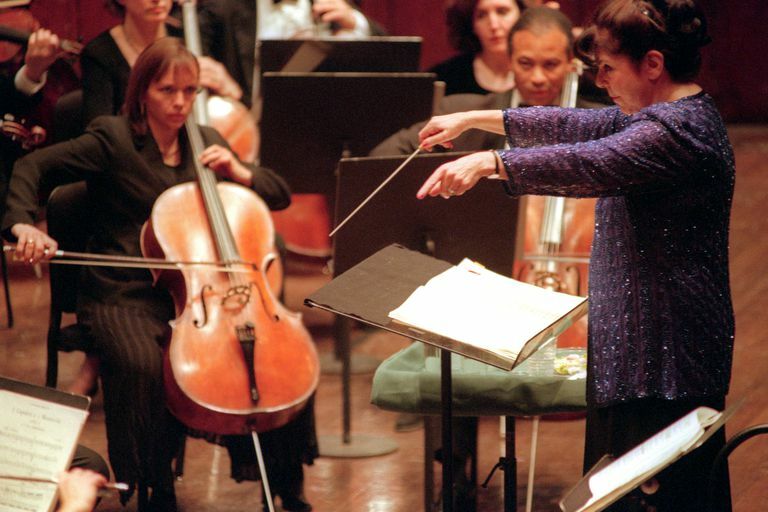 Her conducting debut was in 1966 in Fairlawn, New Jersey, at an outdoor concert, with Cavalleria rusticana. Realizing that her opportunities would likely continue to be limited, in 1967 she organized the New York Opera Workshop, in part to give herself experience in conducting at public performances, and to give opportunities to singers and instrumentalists. A grant from the Martha Baird Rockefeller Fund helped to support the early years. The orchestra, which performed opera in a concert rather than stage setting, often performed works that had been neglected or forgotten in the United States, began to establish itself. In 1971, the Workshop became the Opera Orchestra at New York, and became resident at Carnegie Hall. Eve Queler served as conductor to critical exclaim, growing public interest and increasing ability to draw major performers. Some reporters tended to focus more on her physical appearance than on her conducting. Not every critic appreciated her style, which was described more as "supportive" or "collaborative" than the more assertive style most male conductors were known for. She brought talent from Europe whose specialties were not generally called for in the performances of the Metropolitan Opera. One of her "discoveries" was Jose Carreras, later becoming known as one of "The Three Tenors." She has also served as conductor or guest conductor for many orchestras, in the US and in Canada and in Europe. She was often the first woman to conduct orchestras, including the Philadelphia Orchestra and the Montreal Symphony Orchestra. She was the first woman to conduct at the Philharmonic Hall at Lincoln Center in New York. Her recordings include Jenufa, Guntram by Strauss and Nerone by Boito. Early in the 20th century the Opera Orchestra struggled financially, and there was talk of the season being cut back. Eve Queler retired from the Opera Orchestra in 2011, succeeded by Alberto Veronesi, but continued to make an occasional guest appearance.